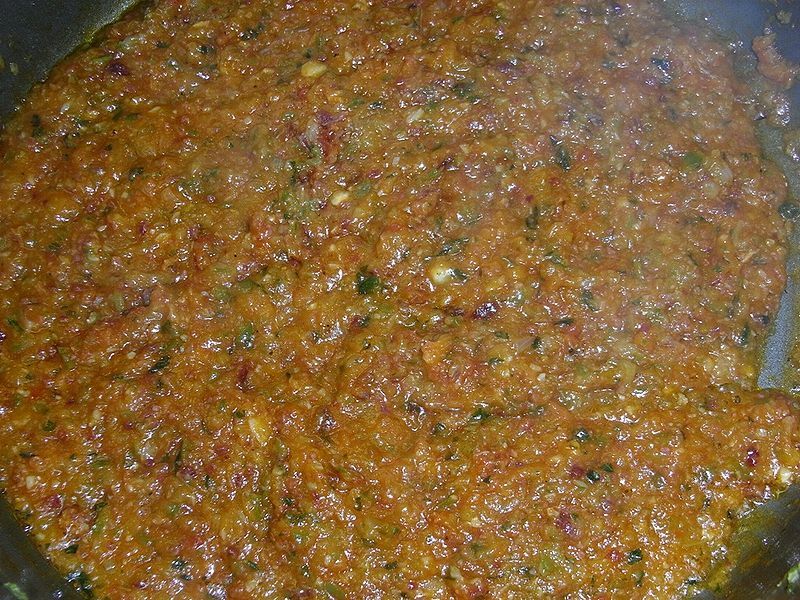 Sofrito in Spanish language, soffritto in Italian, sofregit in Catalan or refogado in Portuguese are similar sauces made with tomato and onion which have been cut in very small pieces and slowly (at least a quarter of an hour, but more usually half an hour) cooked in olive oil, typical of all the countries bordering the Mediterranean Sea and which have been exported to some American countries. 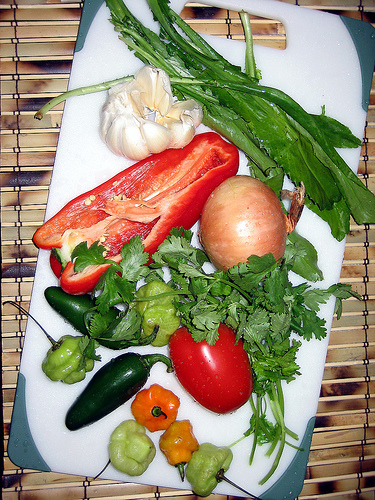 In Latin American cuisine, it is a sauce of tomatoes, roasted bell peppers, garlic, onions and herbs. In Catalan cuisine el "sofregit" has olive oil, tomatoes and onions, and may at times have different vegetables such as peppers or garlic.